QuickBooks will automatically generate the next sequential invoice number when you are creating invoices. In some cases, though, you may want to have more than one sequence of numbers. Perhaps you have two divisions of your company, each with its own invoice numbering. Or you want to track classes of sales – with one sequence for retail sales and another for wholesale sales. This is easy to set up in QuickBooks. If you save an invoice in QuickBooks, the next invoice that you create will have the next sequential invoice number. Save invoice “1”, the next will be invoice “2”. QuickBooks is smart enough to work with modified invoice number formats. If you save an invoice with invoice number “Counter 001”, the next invoice will be “Counter 002”. If you use “123abc” then next number will be “124abc”. This sometimes creates some confusion – someone may accidentally add a character to the end of the invoice number, then all subsequent invoices will continue with adding that character. The simple solution is to create and save a new invoice, editing the invoice number to not have the letter. I’ll also note that in some rare occasions I’ve heard of people who have a QuickBooks company file where the auto sequencing doesn’t work – I’ve not been able to pin down why that might happen (I’ve not gotten my hands on a file that shows this problem). What if you want to have two (or more) sequences, as I described above? I might want one sequence for retail sales, where the sequence starts with “R001”, and another where the sequence starts with “W0001” for wholesale sales. Keeping track of two sequences and remembering which is the next number can be difficult. 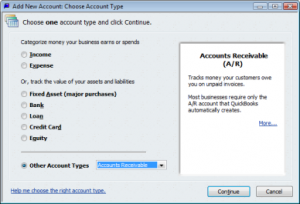 QuickBooks can do this – create a second Accounts Receivable account in your chart of accounts. 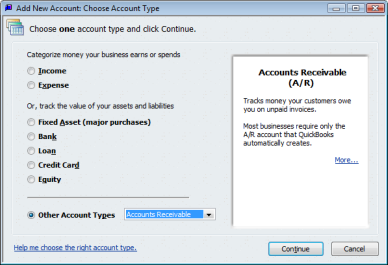 Once you have added another A/R account you will see a dropdown box titled Account on the create invoice screen. This allows you to select which A/R account to use for this invoice. Each A/R account has its own numbering sequence. All you have to do is to save an invoice using that A/R account, with the starting sequence number you want to use. You have to be careful that you are selecting the proper A/R account when creating a new invoice. Your workstation will remember the last A/R account you worked with. When you are scanning through invoices with the Previous and Next buttons, you will scan through the invoices for the A/R account you specify. That can be confusing sometimes. You have to select the A/R account to work with, then scan through the invoices for that account. The Payments Receipts window will now show the A/R account dropdown – so you can only apply a payment to one A/R account for a customer. If you have different A/R accounts for the same customer, one payment can’t easily be applied to invoices from different A/R accounts. If you use Multiple Currencies this gets a bit complicated. Each currency you work with must have a separate A/R account for that currency. Unfortunately, that means you have a different invoice number sequence for each currency. You can create multiple A/R accounts for a currency. However, if you want just one sequence across all currencies, I’ve not found a way to do that. I hope that this helps – if you have any questions please feel free to leave a comment! 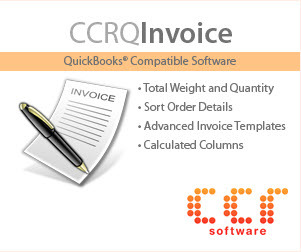 Can we use the same number for Quick books file number and invoice number? for example i have a shipping and we creat a file number (RR150 for instance)for that shippment,when i want to issue the invoice i want to use the same number(RR150) as invoice number,can i do that?and can i have the profit based on each shippment in the system?for example i have 10 diffrent shippment in the month and i want too see the profit of each shippment Separately,is possible in this system? Lili: You can enter anything you want for the invoice number, so if you are generating an outside number (“file number”) that you want o use, that is fine. Profit by shipment – hard to say, I’d look at the “job costing” feature in Premier or Enterprise if these are large items with a small number of shipments. Can we print blank invoices with sequence numbering to send out to employees off site? Like a print shop would do. I believe the best solution is to create an item with the amount 0 and use it on every invoice. You cannot have a blank invoice. Charlie, this blog is amazing and really helps me with what I do. I was troubleshooting an issue for a quickbooks user who’s auto sequencing did not work, and I found this entry across my research. The reason why it was not working is because they were using more than one a/r account. Quickbooks only likes using 1. When you use multiple, it sequences the invoices by a/r account, creating an invoice nightmare if you enter in multiple per day. Thought that may be of help! Love the blog and thanks for all the great info! Brian, that is precisely what I describe above. Multiple A/R accounts – multiple invoice number sequences. Some people want it, some people don’t. This blog entry helped me to do my job, it is an excellent resource, thanks again! Hi, i am suddenly having an issue saving invoices in quickbooks. i create the invoice, hit print, print as pdf then save and close but when I go to the invoice list it is not there. i have only been using quickbooks for about 3 months but dont think I am doing anything differently to what I have been doing previously, I have had a months break from invoicing so maybe I have forgotten something crucial??? Jess, are you using the Australian version? If so, I might not have an answer, as that is a different product than the US version. You don’t mention what product/version/year you are using. And when you say that you go to the “invoice list”, what exactly are you looking at? 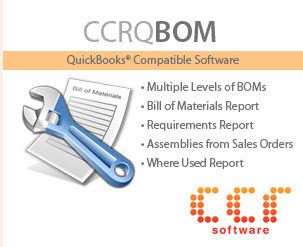 We’re using QB2007 and when creating statements for customers you are also required to pick an AR account. If you have customers that have entries in both accounts you need to make your receivables accounts subaccounts of a master AR account in order to pick that master account when creating a statement. This will allow you to show all of your customer’s activity for both accounts in their statement. scacct: Thanks for pointing that out. I rarely use multiple A/R accounts myself. I don’t like having multiple A/R accounts to get different invoice number sequences, as it make several things more complicated. So I hadn’t come across that particular issue myself. Here’s my problem. I’ve created a new invoice template to have an additional column that was required by one of our clients. I copied the existing one which behaved as it was supposed to relating to sequent invoice numbers before the change. After creating the new template QB restarted the invoice numeration from 1. It didn’t matter whether I was issuing an invoice using the old template or the new one. I read the posting about the different A/P accounts and will check that out even though I did not create separate accounts. I’m afraid that I might have changed the existing template when I was meddling with it before copying it and creating the new one. QB remembers the last invoice number you used, USUALLY. There are times when things get out of whack for reasons that nobody has been able to explain to me. Create an invoice, and as the LAST THING YOU DO before saving it, enter what you want as the correct invoice number. Then save it. QB should pick up on that and starting numbering from that point. All the receipt numbers are gone from the field on the sales receipt. How can I get them back? Deggi, I’m not sure what you are talking about. In the printed form? In existing orders you already have saved? Is the field blank, or just missing? Invoice number sequencing is 09-1533, and we attempted to change # to reflect new year. I input Invoice as 10-1534 for next invoice created and hit save & new, but next invoice revereted back to “09-…” Any ideas? Create your new invoice, and as the LAST THING YOU DO before saving the invoice, go to the invoice number and change it to what you want. It must be the last thing that you change in the order before you save it. Can Quickbooks be set so that you CANNOT change the automatically generated invoice number? We have too many people creating their own invoice numbers, for whatever reason. I’d like to stop that. Carol, that isn’t something you can control in QuickBooks, unfortunately. I want to have one sequence of invoice numbers but I have multiple AR accounts (ie. Wholesale, Retail). I also use memorized transactions for invoices on a daily basis and it seems that this always messes up my invoice numbering. Is there a way to make sure all my invoices are falling into one numbering sequence even if they come from different accounts or memorized transactions? Janet, if you have multiple A/R accounts, each has it’s own sequence, and you can’t have them draw from one sequence. Not within QB itself. my office got three computers creating invoice, when sometimes its busy, may be two of them will both create invoice, but the problem is, these two ‘creating invoice’ will got same invoice number. is there anything I can do in the quick book to make the system generate the invoice number automatically in order when creating rather than saved the invoice? Zing: NORMALLY QuickBooks should handle that for you. I’ve heard complaints about this issue on occasion, but I’ve never had my hands on a system that shows this problem. So I can’t give you an answer. so is that you mean, normally, the quick book will generate next invoice number even when you are creating the invoice? It should handle this correctly, in a normal stituation. One solution to the changing over of invoice numbers from one year to another is to take the next new number that QuickBooks automatically assigns and on the save new invoice when it ask if you want to keep this number say cancel, QuickBooks will say type in the number that you want to use and when the system prompts this question type in the number for example last year we used Invoice 1 and this year I wanted to use Invoice 001 and therefore, 001 was typed in the Invoice box but QuickBooks rejected every effort to change it until I selected enter, enter is th same as yes. Restated on the question if you want the Invoice in the box click cancel, type in the first number of the sequence you want to use and press enter and QuickBooks will consecutively enter the series, 001, 002, 003 etc. For trucking I receive multiple load tickets on the same day. How do I enter that into Quickbooks on an invoice so that each ticket number is searchable? If you do custom columns I cant find it nor does it show up in the reports. Appreciate any help. John, that is a bit off the topic of this article. And the answer does depend on what year/edition of QuickBooks you are using. Custom fields do show up in “detail” reports for the most part, but not in “summary” reports, so it depends on where you are looking. But, in QB 2011, with the new search feature, searches don’t work in custom fields. You can enter info in a description field for a detail line that doesn’t have an item, price or quantity, and search on that. Wondering if you know a way to get QB to line up and use the same numbering sequence for multiple forms, i.e., Invoice 1001, followed by Receipt 1002, Inv 1003, Order 1004, Rcpt 1005, Inv 1006 and so on. We use the same paper carbon form books for all of these, and would like to coordinate their numbering with QBs numbering, but keeping seperate books with seperate numbering for each type of form is physically too cumbersome. I know how to change the sequence of each form manually, but I want to get them all to share one sequence going forward. Thanks! QuickBooks doesn’t work that way, and from withing QB there isn’t a solution that will help you. How do I clear an amount that I have in a suspense (asset account) against a customer’s balance that I have billed? Ronnie, that is way off topic for this article. There are several ways of handling that, but I can’t give you specifics without knowing a lot more about your situation and how you got to where you are. A simplistic answer is to set up an item that charges against that asset account, but it is risky for me to say that because that might not work for your situation. If you have prepaid accounts, or encumbrances, there are ways to set things up to make that work smoothly. You should contact a qualified ProAdvisor who can sit down and go over the details with you. rather than Mr. Jones having #3,# 6, #7, #10 and Ms. White has #1, #2 #4, #12, this is unplesant for all parties. Any advice? Sorry, Amy, that is how QuickBooks works – one sequence of invoice numbers for everyone (when using one A/R account). Secondly, consecutive INVOICE numbers, that are different from above numbers. Bill, that is a different issue from what this article is talking about. Sales order to PO – there isn’t a way to automatically show the original SO number on the PO.. You can have the SO number show on the Invoice, though. You may be able to do it with a custom field – you would have to manually enter the SO number there. But I haven’t checked to see if the custom field values transfer from an SO to a PO or not. What are the benefits to using multiple numbering schemes? Our company is about to launch a new line of products under a Trade Name, and I would like to make differentiating between them simply and easy. Not to mention, there is a slight chance they might be each be a separate company or LLC in the future. More importantly, I want to be able to run separate reports on how well each line is doing along with the separate products each will sell. I know I can set up separate income accounts, but if separate A/R accounts and number schemes (like c-1 and d-1) will save me a headache in the future. I want to do that as well. I’ve been looking for info on it and just can’t find anything that clarifies why do one vs. the other or both. Thanks in advance for any help/clarity you can provide. I generally wouldn’t recommend using multiple invoice sequences, because in most cases having multiple A/R accounts is a complication that you don’t need to deal with. I’m only describing this because it is the way that QuickBooks works – and some people really want this feature. I can’t give you specific recommendations without knowing a lot more about your situation, but instead of using different invoice number sequences it sounds like you might want to look into using the “class” feature. You can specify a different class for different companies, or for different product lines (if you have a limited number). Specifying the class in the transaction lets you see different reports by class (such as a P&L by class, for example). 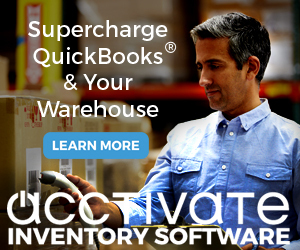 This might be off topic but does Quickbooks allows for custom invoice # auto-increment, i.e. the next W0001 would be W0010 instead of W0002? Not off topic at all! But, unfortunately, QuickBooks won’t do that for you. It always increments by one. I use the memorized transaction list for invoicing each month. How can I get Quickbooks to assign the next sequential invoice number when using memorized transactions? Shelley, it should, automatically. Sometimes QuickBooks gets cranky and doesn’t do this, and nobody can explain why. Create an invoice the normal way (not via a memorized transaction) and give it an invoice number, then “Save and New”. The next invoice should come up with the next number in the sequence, on the screen. If it does there, then from that point on the memorized ones should also. But not always. Is there a way in Quickbooks to create a new receipt template with independant numbers? I would like to have a receipt template for phone orders and In store orders and leave the original template for online orders so that the numbers on the receipts stays the same as the ones on the invoices sent automatically to customers through my website. Something similar to your tutorial but with the Sales Receipt template. You can have multiple templates, no problem, and as we show here you can have multiple invoice number sequences, no problem. BUT, you can’t tie a template to a sequence. You can’t force one template to use one particular A/R sequence. You would need to select the A/R account for each order. If you are importing orders from the website, if your import method allows you to specify the A/R account to use then you can force the imports to use that sequence. For manually entered orders you would have to manually select the A/R account. Great article and may find it useful in the future. I’m in UK though and not sure how ‘correct’ 2 numbering systems would be over here. We have to have concurrent numbering and any gaps/errors must be printed for revenue agencies to inspect. I would have to check that I could have 2 numbering systems for one company.